We have all heard the term BYOD/BYOT and many of us have even implemented such a program in our institutions. The thought of offsetting district expenditures by having students supply their own devices is certainly an eye opening thought. Can a BYOD truly exist without a district supplied One to One option or similar district solution? It’s something I wrestle with each time I hear of districts doing one without the other. The two terms BYOD and One to One are typically heard synonymously for the simple fact that in a BYOD only environment, those students who do not have access to their own devices will not be able to participate in online or computer based classroom activities unless provisions are made in each classroom to ensure every child has a device. This in itself can pose its own challenges as certain personal devices may not be able to view resources required by the class. Flash based activities will not be viewable on iOS devices, etc. Most testing as of today states explicitly that personal devices may not be used, so in this case, we must still have enough district owned devices to tackle the growing number of online assessments. Although BYOD can supplement other district initiatives, I find that there are a number of activities/situations that will still require district assets to make ends meet. 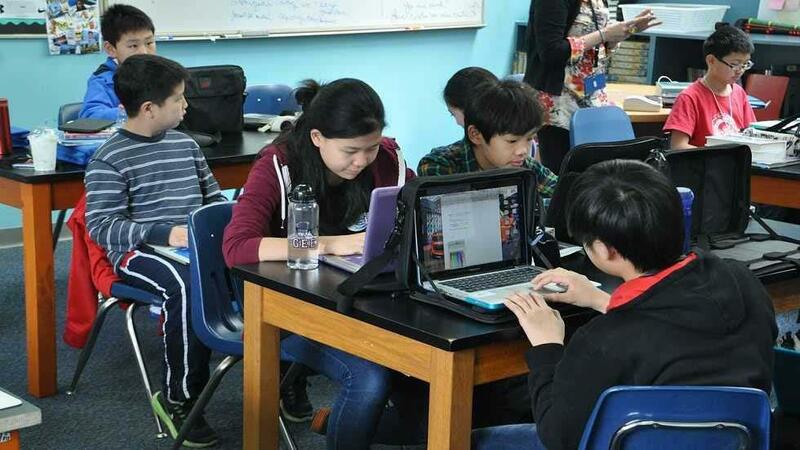 Is there a happy balance between BYOD and district provided options? How can we encourage BYOD, but still provide adequate resources for students who don’t participate? K12 marketing is a huge industry and I feel that often we are steered into directions based on the current marketing trends. Is BYOD a trend brought on by marketing or can it really be a reality? Personal devices will continue to infiltrate our buildings whether in teachers or students hands, this is a fact. These devices certainly can be allowed onto our networks and be used for instruction if the user so prefers. The real challenge presents itself during the times of assessments, specialized software which requires licensing, operating system limitations, and most importantly in my mind, students/teachers who don’t have a personal device to use. The term has been around long enough now that it’s not going away. What is the true answer to a successful BYOD ONLY program is still unanswered in my eyes.